Every year, the Carrboro Student Government Association (SGA) throws the Snowball dance, the only SGA-sponsored dance where all grades are invited. 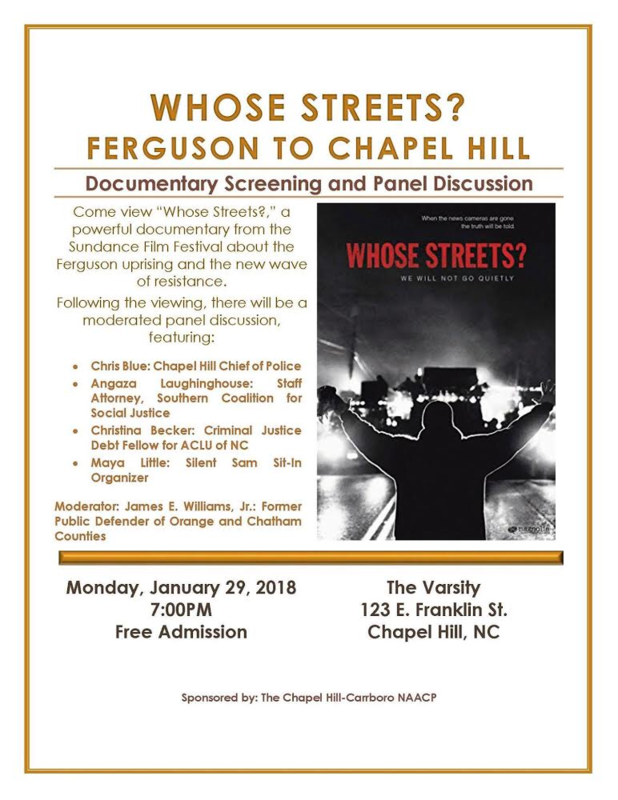 In past years, it has been held at venues such as the Haw River Ballroom and the Friday Center. This year, Snowball is taking a different turn, as it will be held on Saturday, January 27, in the commons of Carrboro High School. This year, all SGA officers ran on a platform of wanting to be more inclusive and that all Carrboro students should be able to feel like a Jaguar, explained Cameron Farrar, Carrboro’s SGA treasurer. In past years, some students have refrained from attending school hosted events due to transportation and money issues. The changes this year are meant to make Snowball a place where everyone feels welcome. SGA didn’t want price to be a deciding factor in students’ attendance. This year’s Snowball tickets are only $10 for a single and $15 for a couple which is much cheaper than previous years. Hopefully this drop in price will encourage more students to attend. Farrar mentioned that there is a large demographic of students who don’t feel welcomed at school events. 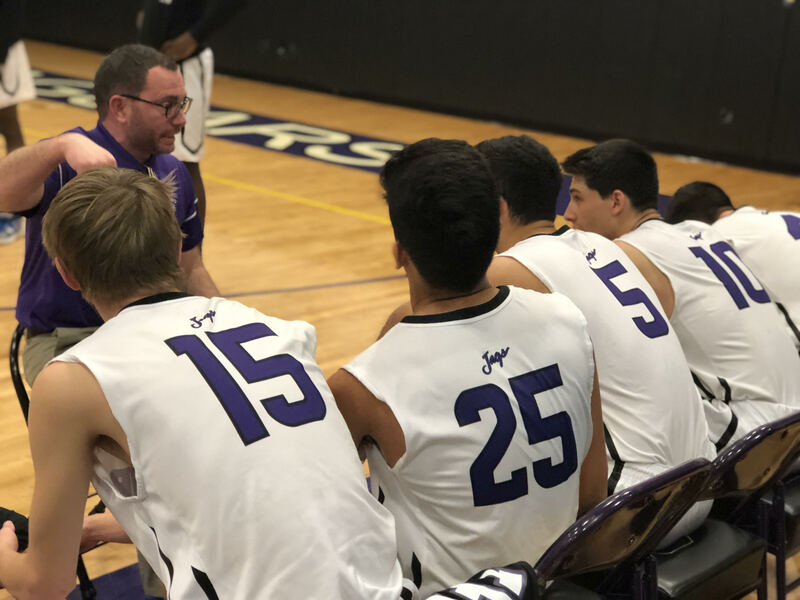 “I think there is a certain comfort in knowing about the school and where the school is so you don’t have to be worrying about a bunch of different things,” said Farrar. Additionally, SGA is really pushing the winter wonderland theme, with plans for: trees, snowflakes, lights and even chicken nuggets! Snowball will be held Saturday, January 27 from 8 to 11 p.m. If you haven’t bought your tickets yet, don’t worry; they are available for purchase at the door! 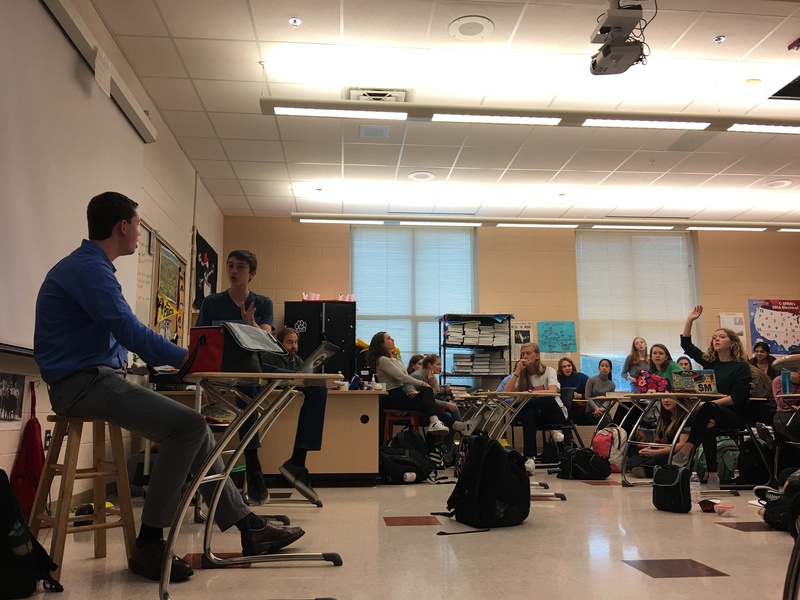 On January 11, the CHS debate club, led by Jonah Perrin, senior, held its fourth debate since the creation of the club this fall. This week’s debate topic was on immigration policies and the issue of building a border wall to keep out illegal immigrants. According to Chris Beichner, Social studies teacher and debate club advisor, over 70 people showed up to the debate. Students ranging from all grades, ages, races and political beliefs attended the debate to either share their opinions or listen to those of others. Anti-immigration perspectives tended to support the building of a border wall, increasing border security and reducing the number of illegal immigrants in America. Pro-immigration students maintained that immigrants benefit the economy and add to society. They proposed funneling money into an improved immigration system rather than a border wall. While managed by both Perrin and Beichner, the debate did at times take a hostile turn, owing to the controversial nature of the subject. Some students felt it was sometimes one-sided and difficult to prevent people from interrupting each other. “I definitely thought it was one-sided at times; we need more Republican voices. We should be nicer to each other as well, no more personal attacks,” said Roman Perone, junior. Other students were disappointed with how the debate turned out. Ezster Rimanyi, also a junior, believes there should be more understanding of different perspectives and actual debate for the sake of debating. “I feel like in a bunch of debates there is a lack of opposition with really good points. We never have the ‘I can see;’ we feel like we have to just be part of one party or side. I would like to let go of emotion…If I’m on the republican side, I should be able to say, ‘I can see’. We never have that, and that’s what I kind of miss,” said Rimanyi. Beichner, who supervises the debates (which take place in his room), has a different perspective disregarding parties or political affiliations. He felt positively about the turnout of students and their ability to debate. “The topics are controversial, but for the most part students have been respectful. Mostly, I’ve been amazed by well-spoken people are off-the-cuff. [You’re] just 16 or 17 years old, and it’s pretty impressive to me,” said Beichner. Further debates will be held in Beichner’s room, E216, pending the decision of new topics. Contact Perrin for information about the debate club, or if you have ideas for a debate topic. 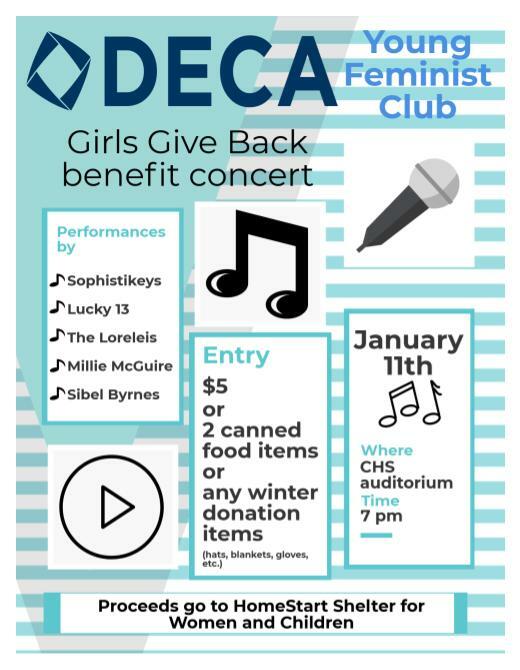 This Thursday, January 11, DECA will host the Girls Give Back benefit concert, working alongside the CHS Young Feminist Club. The concert will consist of performances by a capella groups from CHS’ Sophistickeys, CHHS’ Lucky 13 and UNC Chapel Hill’s the Loreleis. There will be two featured performers, Millie McGuire, senior, and Sibel Byrnes, CHS English teacher. Senior Kirby Thornton, the CHS DECA Chapter President, explained the idea behind the organization of the event. “I had the interest to join [the Young Feminist Club] and help them market the event because it is a good idea to have all female performers giving back to a female-driven charity,” said Thornton. To organize the event, Thornton used her four year experience on DECA to market the concert. “DECA has taught me to be a leader, to learn how to delegate, as well as critical skills in business and event planning. It helps me understand what goes into a marketing plan and how to best advertise the event,” said Thornton. Thornton elaborated on the importance of using your own interests to benefit others in the community. “There are so many different ways to give back to a community. While volunteering is helpful, we have the ability, as younger students, to put on programs that are really awesome,” said Thornton. Minimum entry to the event is currently listed at $5. All proceeds of the event—donated clothing, canned foods and money—are going to the HomeStart Shelter for Women and Children.